India and France signed an Administrative Agreement in the field of Sustainable Urban Development in Paris. The implementation of this Agreement will take place under the aegis of the Indo-French Joint Working Group on Urban Development comprising representatives from the Ministry of Urban Development (India) and the Ministry of Regional Equality & Housing and the Ministry of Ecology, Sustainable Development & Energy (France). India’s external trade, that is, merchandise exports plus imports, as a proportion of the GDP has more than doubled, from less than 20 per cent at the turn of the last Century to around 45 per cent in recent years. The country’s financial integration with the world has also been as rapid as its trade globalisation. As a broad measure of globalisation, the ratio of the total external transactions i.e. gross current account flows plus gross capital flows to the GDP has also more than doubled from under 50 per cent to nearly 120 per cent during the same period. Despite a considerable increase in domestic savings rate, there has been a significant increase in the dependence of the economy on the inflow of foreign capital. It has contributed to the financial intermediation of resources in meeting the growing need for long-term and risk capital, as well as technology for the Indian industry. Dhanush, India’s 350 km range Surface-to-Surface ballistic missile was successfully launched today at 11:25 A.M from a naval ship off the coast of Balasore, Odisha. The missile was launched by India’s strategic forces command. It was a text book launch meeting all the mission objectives. Dhanush, developed by DRDO, is India’s short range (350 km range) strategic ballistic missile capable of being launched from naval ships. An agreement between Government of India and the World Bank for loan of US$ 500 million (equivalent) from World Bank for the Rashtriya Madhyamik Shiksha Abhiyan (RMSA) was signed. The Objective of the project is to help India to achieve increased and more equitable access to good quality secondary education through support of the Government’s ongoing program for secondary education as delineated in the (RMSA) Framework. The project would support all activities detailed in the RMSA Framework, for which financial and technical norms have been determined. The Bank’s support is being provided through a Sector Wide Approach, so there are no separate components, but this section describes the different types of activities which will be supported with the Framework. RMSA represents a systemic shift in the way secondary education is planned, managed and financed in India. The closing date of RMSA is June, 2017. The Union Cabinet today discussed the Draft Twelfth Five Year Plan document (2012-2017), and approved the proposal to place the Plan Document before the National Development Council. The Plan proposes an acceleration of growth over the plan period to reach 9 percent in the terminal year, yielding an average growth rate of 8.2 percent for the plan period as a whole. It emphasizes that the growth must be both inclusive and sustainable, and to achieve these objectives it proposes a comprehensive game plan in terms of policies and programmes. The estimates show resource availability for the Twelfth Plan at Rs.80,50,123 crore in current prices for the Centre and States taken together. This implies the public sector resources for the Twelfth Plan (2012-2017) would be 11.8 per cent of GDP as against 1096 per cent realized during the Eleventh Plan (2007-2012). To achieve the targeted growth rate, the fixed investment rate should increase to 35 per cent of GDP (at constant prices) by the end of the Twelfth Plan, yielding an average fixed investment rate of 34 per cent of GDP (at constant prices) for the Twelfth Plan period as a whole. The projected average rate of gross domestic capital formation in the Twelfth Plan is 37 per cent of GDP, the projected gross domestic savings rate is 34.2 per cent of GDP and the net external financing needed for macro-economic balance would average around 2.9 per cent of GDP. Recently, the Union Cabinet approved the following amendments to the Wild Life (Protection) Act, 1972. The Wild Life (Protection) Act, 1972 (53 of 1972), provides the legal framework for the protection of various species of wild animals, management of their habitat and also for the regulation and control of trade in the products derived from wild animals. The Integrated Child Protection Scheme (ICPS), which inter-alia aims to provide rehabilitation services to children in difficult circumstances, including such children is being implemented by the Ministry of Women and Child Development. Under this Scheme financial assistance is provided to State Governments/UT Administrations for setting up of and maintenance of Open Shelters, either by themselves or through voluntary organisations, for short-term community based care and shelter for such children, which include contact points at railway stations, bus stands, crowded market areas etc. The Scheme also provides grants for Homes of various types for children in difficult circumstances. Children requiring long-term stay and other rehabilitation facilities are referred to Children’s Homes. The Union Cabinet approved the ratification of the Nagoya Protocol on Access and Benefit Sharing by India. The Nagoya Protocol has been signed by 92 countries. Five countries have also ratified the Protocol. India signed the Nagoya Protocol on 11th May 2011. 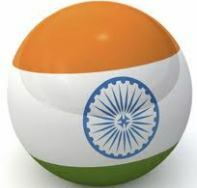 India is hosting the eleventh CoP to the CBD in October 2012 in Hyderabad. This gives us an opportunity to consolidate, scale up and showcase our strengths and initiatives on biodiversity before the world. As the incoming President of CoP-11, it is expected that India would ratify the protocol before CoP-11. India is one of the identified megadiverse countries rich in biodiversity. With only 2.4 per cent of the earth`s land area, India accounts for 7-8 per cent of the recorded species of the world. India is also rich in associated traditional knowledge, which is both coded as in ancient texts of Indian systems of medicines such as Ayurveda, Unani and Sidha, and also non-coded, as it exists in oral undocumented traditions. India is a Party to the Convention on Biological Diversity (CBD) which is one of the agreements adopted during the Rio Earth Summit held in 1992. One of the three objectives of the CBD relates to Access and Benefit Sharing (ABS), which refers to the way in which genetic resources may be accessed, and benefits resulting from their use shared by users with countries that provide them. The CBD prescribes that access to genetic resources is subject to national legislation. The Cabinet Committee on Economic Affairs gave its approval for Component-l of the Plan Scheme on `End-to-End Computerisation of Targeted Public Distribution System (TPDS) Operations` in the 12th Five Year Plan with an outlay of Rs. 884.07 crore on a cost sharing basis. The pattern of cost sharing between Centre and States would be on 90:10 basis for the North-Eastern States, whereas for other States/UTs, cost is to be shared equally. Shares of Government of India and State Governments/UT Administrations are estimated at Rs.489.37 crore and Rs.394.70 crore respectively. Digitisation of beneficiary database will help in weeding out bogus ration cards and better targeting of subsidies. With computerisation of the supply-chain, the movement of foodgrains upto Fair Price Shop (FPS) level, can be tracked and the problem of leakage and diversion can be addressed. This post contains the current affairs of October 2012. These are short current affairs 2012 notes for quick review.